Against the backdrop of the 1893 World's Fair, a young woman finds employment with an illustrious Chicago family--a family who may guard the secret of her sister's disappearance. Sloane House is among the most gilded mansions of Gilded Age Chicago. Rosalind Perry, the new housemaid, pours the morning coffee before the hard gaze of her mistress. "It's simple, Rosalind," she says. 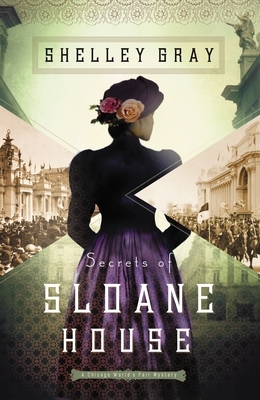 "I am Veronica Sloane, heiress to one of the country's greatest fortunes. You are simply one in a long line of unsuitable maids." Back on the farm in Wisconsin, Rosalind's plan had seemed logical: Move to Chicago. Get hired on at Sloane House. Discover what transpired while her sister worked as a maid there--and follow the clues to why she disappeared. Now, as a live-in housemaid to the Sloanes, Rosalind realizes her plan had been woefully simple-minded. She was ignorant of the hard, hidden life of a servant in a big, prominent house; of the divide between the Sloane family and the people who served them; and most of all, she had never imagined so many people could live in such proximity and keep such dark secrets. Yet, while Sloane House is daunting, the streets of Chicago are downright dangerous. The World's Fair has brought a new kind of crime to the city . . . and a lonely young woman is always at risk. But when Rosalind accepts the friendship of Reid Armstrong, the handsome young heir to a Chicago silver fortune, she becomes an accidental rival to Veronica Sloane. As Rosalind continues to disguise her kinship to the missing maid--and struggles to appease her jealous mistress--she probes the dark secrets of Sloane House and comes ever closer to uncovering her sister's mysterious fate. A fate that everyone in the house seems to know . . . but which no one dares to name.